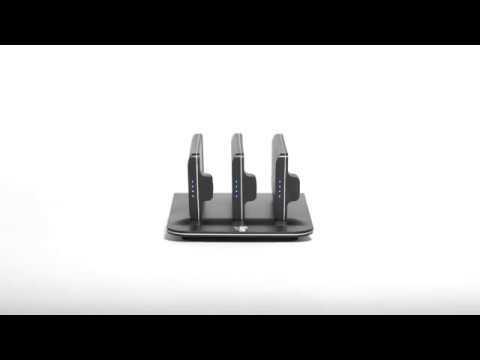 The PowerBase is made with 1 dock and 3 batteries. SmartBatz wireless batteries recharge you phone to suit your daily moves. Above expectations, the PinSpeed™ innovation enables to charge your phone faster than a wall charger, in respect to SmartPhone manufacturers standards and rules. When connected the Batz communicates with your device to determine the perfect amount of power it needs for a safe, quick charge. The PowerBase is made to last. Powerbase Lightning: Works for iPhone X, iPhone 8 Plus, iPhone 8, iPhone 7 Plus, iPhone 7, iPhone SE, iPhone6s Plus, iPhone 5c, iPhone5.